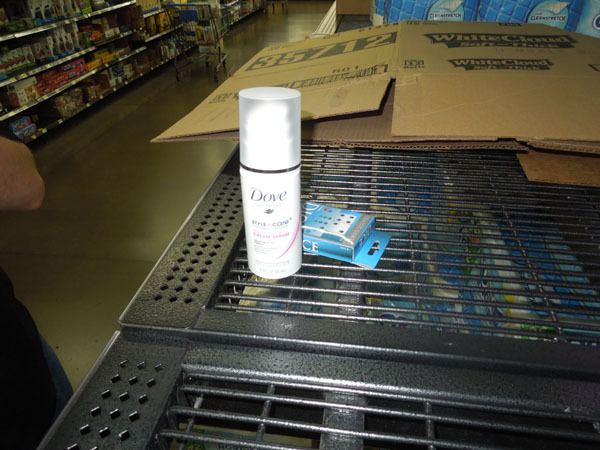 Dove and dice and cardboard box on the shelf. 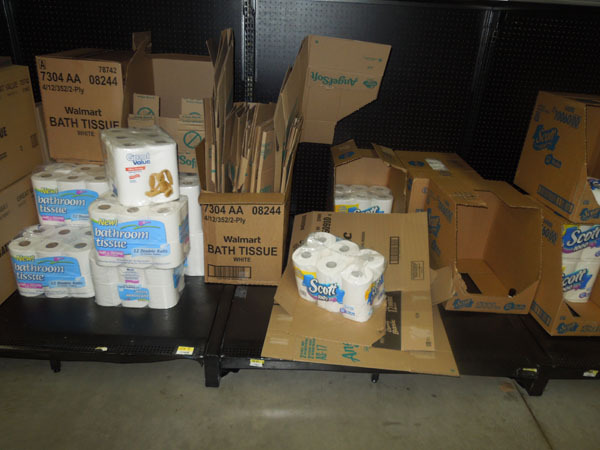 Dump your cardboard here, it's Walmart. 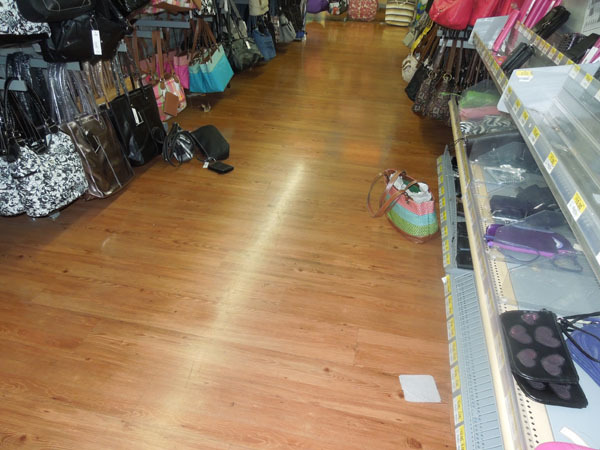 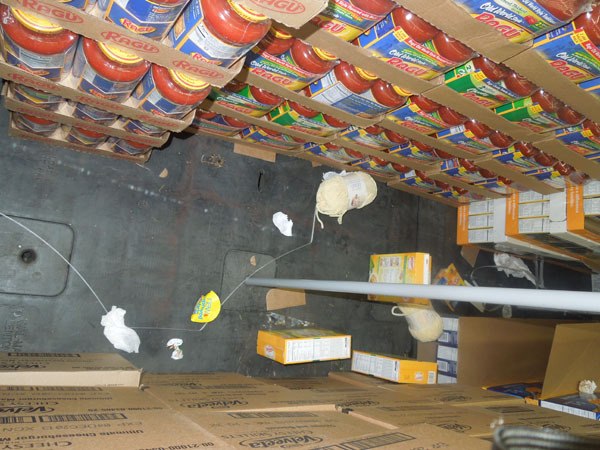 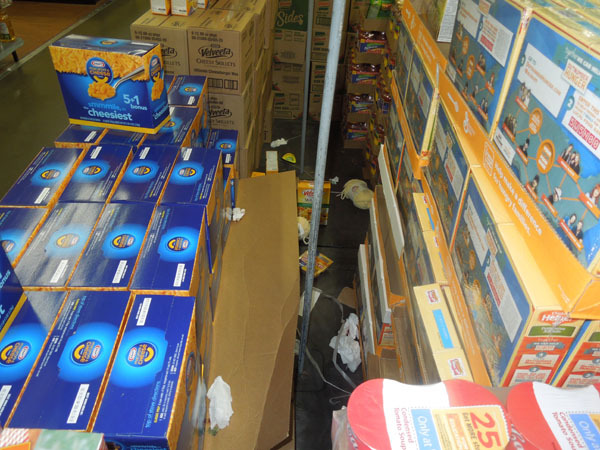 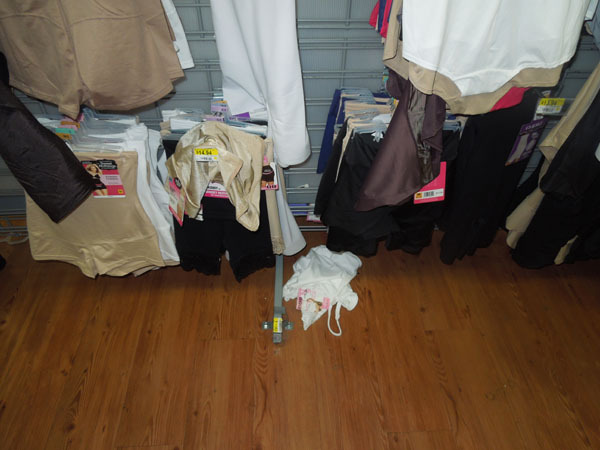 Here's a view into the empty space between stacks of products on pallets in the center of an aisle. 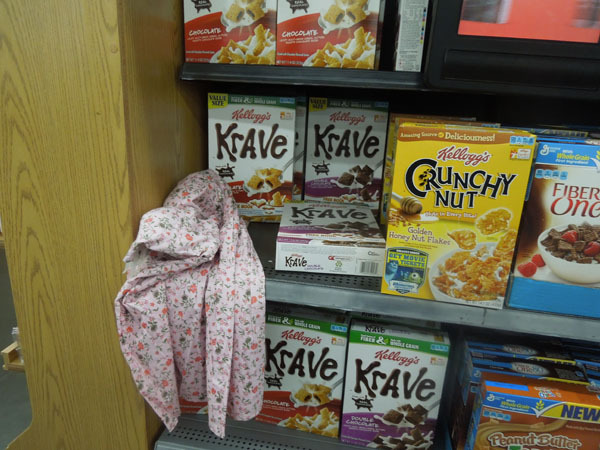 I believe this is a dress on the cereal box shelf. 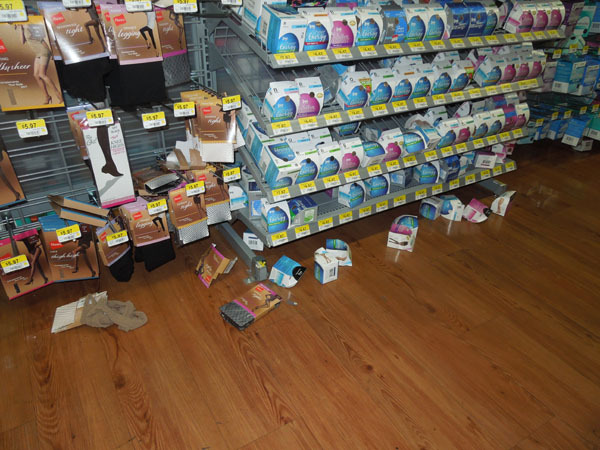 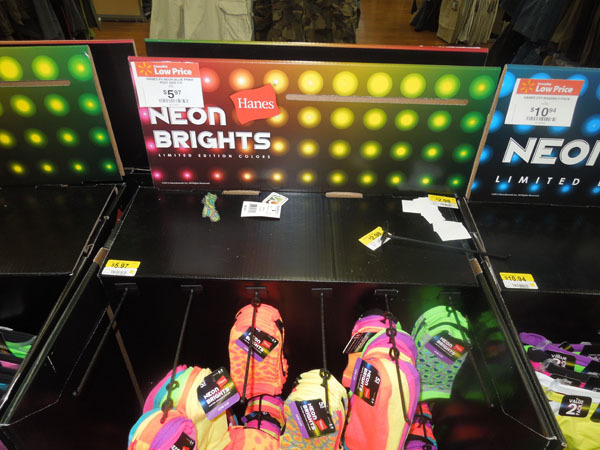 Price tags and trash on a sock display.